In the inaugural function, Mr. Ravindran, General Manager of Nagercoil Region TNSTC, informed that Nagercoil Region in Tirunelveli Division of the TNSTC is topper in revenue earnings in the State. He added it earned Rs. 1.42 crore last year. There are 819 buses was operating in TNSTC Nagercoil Region including rural and and inter-State routes. 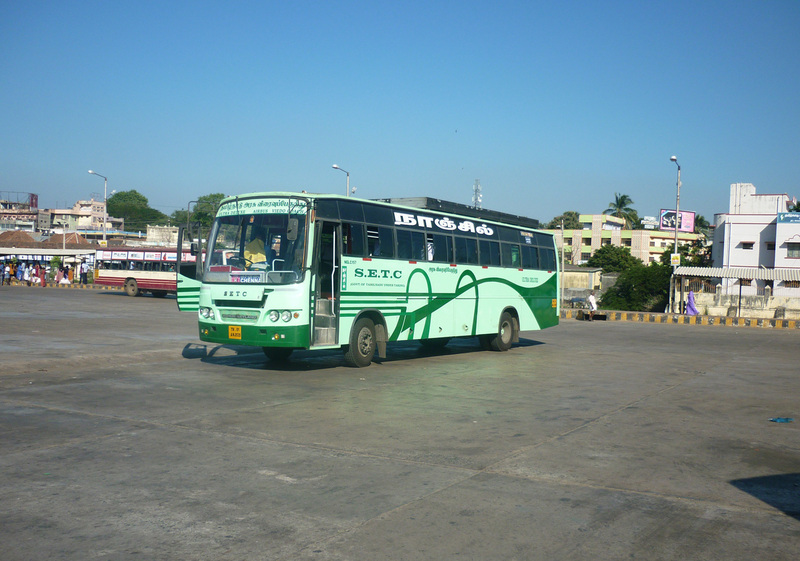 It operates 301 buses on mofussil routes, 38 on inter-State routes from Nagercoil. And 480 buses on town routes. Collector Sajjan Singh R. Chavan, TNSTC officials and leaders of local bodies participated in the inaugural function. It is remarkable to know that one of the old buses which been replaced is 10 years old!